Yes this is suitable for use on fabrics and upholstery. It will be ok to put the clothing into a washing machine after. 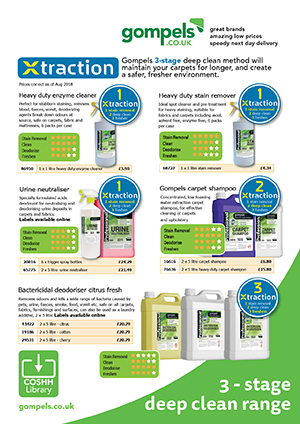 Developed as part of our Xtraction Range - a 3 stage method for deep cleaning and maintaining carpets. Gompels Professional Urine Neutraliser Trigger promises to speed up your cleaning process. Provided in a multipack of 6, each durable bottle has been manufactured from translucent plastic to allow for visual monitoring. 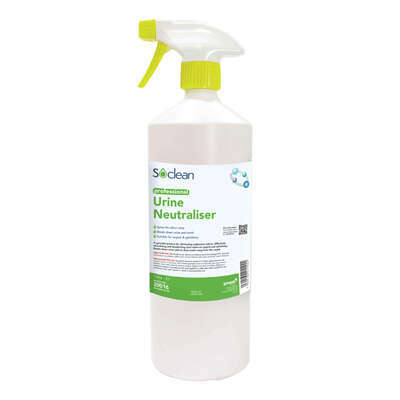 Simply load up with the correct dosage of our urine neutraliser chemical and use to spray an even amount of product over the affected location.